VIRGINIA BEACH, VA. (January 31, 2018) – AAA is proud to announce the 2019 Five and Four Diamond Rating for hotels in Hampton Roads. Currently, just 1,722 hotels hold the AAA Four Diamond Rating, representing 6.3 percent of the hotels inspected. Only 121 hotels in the United States have received the Five Diamond Rating. This exclusive group represents just 0.4 percent of the AAA Inspected and Approved hotels across North America. 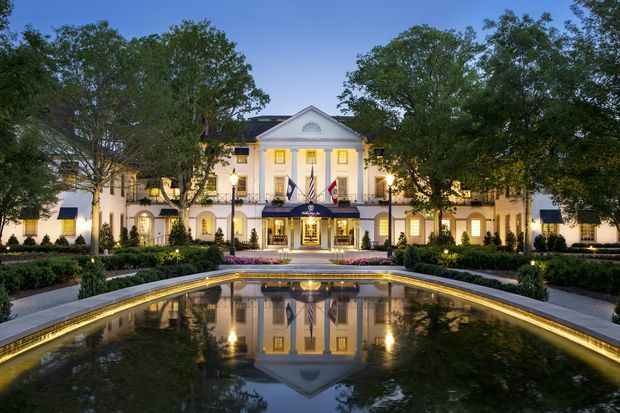 The newest addition to the AAA Four Diamond Hotel list is The Cavalier, an Autograph Collection Hotel in Virginia Beach. The Kingsmill Resort has continued to maintain the AAA Four Diamond rating for more than twenty-eight years. Hotels at this level are committed to providing every guest with a high degree of hospitality, attentive service in upscale surroundings, and typically offer an extensive array of amenities and guest services. For more than 80 years, AAA has used professional inspectors to conduct anonymous, in-person property evaluations. AAA offers the only rating system using comprehensive, on-site professional hotel and restaurant evaluations guided by member priorities. AAA’s rating system covers the United States, Canada, Mexico and the Caribbean. Travelers can find Diamond Rated establishments and inspector insight in AAA’s trip planning products: the AAA Mobile app, the online AAA Travel Planner mapping and routing tool, searchable online AAA Travel Guides and AAA TourBook guides available to members at AAA offices. As part of North America’s largest motoring and leisure travel organization, AAA Tidewater Virginia provides its more than 330,000 members with travel, insurance, financial and automotive-related services. Since its founding AAA Tidewater Virginia has been a leader and advocate for the safety and security of all travelers. For more information, visit AAA.com and follow us on Twitter at Twitter.com/AAATidewaterVA or Facebook at facebook.com/AAATidewaterVirginia.